LTE is used by the network providers in various frequency ranges. In the future, the area around 700 MHz(LTE Band 28) will be increasingly used. There are already some end devices such as 4G USB modems, LTE mobile hotspot, wireless routers, smartphones and tablets, which support LTE Band 28 and thus future-proof. The frequency bands around 700 MHz have so far been used for mobile communications worldwide by many carriers, see below the list of the operators who had deployed the LTE Band 28 below. The frequency range between 703 and 733 megahertz (uplink) or between 758 and 788 megahertz (downlink) is defined as band 28. It is therefore an FDD LTE band (frequency division duplex, uplink and downlink are handled over separate frequency ranges). 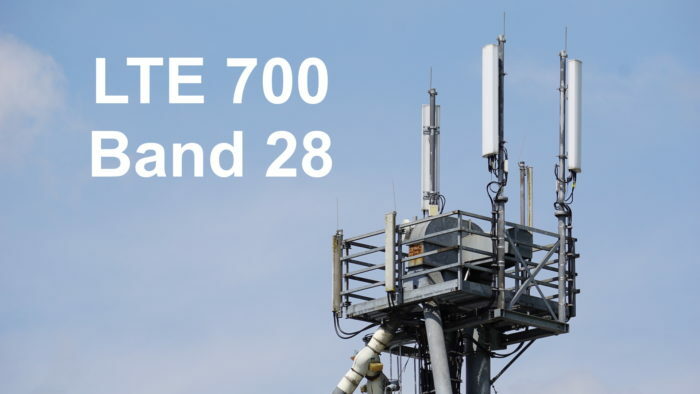 Globally speaking, the frequency range around 700 MHz is very popular for mobile applications, the band 28 is part of “APT700” and is seamlessly integrated into the LTE band 20 (800 MHz). Mobile broadband networks benefit from the additional usable radio spectrum. The advantages of the 700 MHz frequency range or band 28 are obvious: the spectrum allows a very good range and a comparatively very good indoor supply. Network operators can offer a basic broadband supply in the country simply and cost-effectively and optimize the supply in buildings in cities. The disadvantage is the comparatively low radio spectrum per provider, the achievable speeds should be quite low with around 50-75 MBit/s in the downlink. In combination with other frequency bands (carrier aggregation with 800, 900, 1500 MHz, etc. ), the data rates then increase rapidly, so that band 28 is an ideal complement to the already existing radio spectrum.